﻿ Raido's Stuff - PS2 - Simple 2000 Series Ultimate Vol.6: Love Upper! English Title: Simple 2000 Series Ultimate Vol.6: Love Upper! 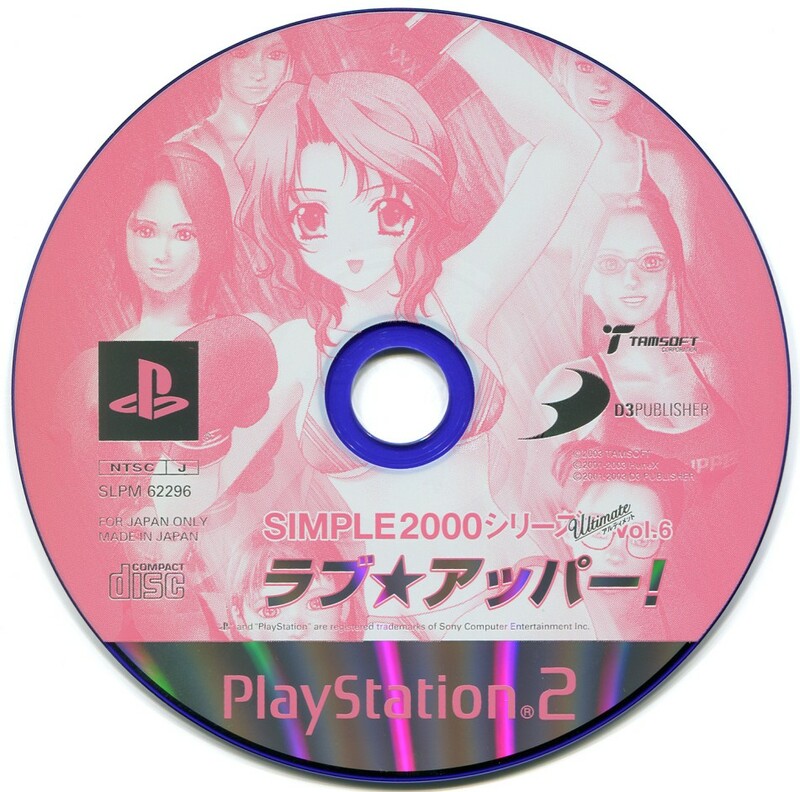 Japanese Title: SIMPLE2000シリーズ アルティメットVol.6 ラブ★アッパー! D3 brings us yet another sport fetishized, with jiggly all-female... boxing? Yep, you can enact your fantasies of strapping boxing gloves on a schoolgirl and a bikini idol and making them punch each other in the face until one of them passes out. You know, if that's a fantasy of yours. Ahem. This one is playable, but frankly kind of boring. This is actually a straight reskin of Tamsoft's earlier The Boxing, which was a generic, straightfoward boxing game in the normal Simple 2000 line, which goes a way to explaining why it's boring. Got a PAL release as Heartbeat Boxing.